Imparting Restoration, Liberty, Deliverance, Inner Healing and Prophetic encounters in the Power of the Holy Spirit. 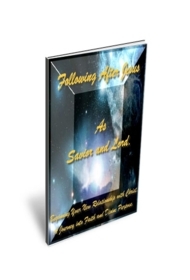 Following After Jesus... As Savior and Lord. This New Believers Booklet Publisher's Edition will help Ministries, Churches and Conferences that are looking for a solid Biblical based follow up Hand Out. This E Book comes with buyer's rights permitting full editing and printing. After customizing with Your Photos, Your Logo, Ministry Name, and contact information; simply take to your local print company. Minimize your time and save money.